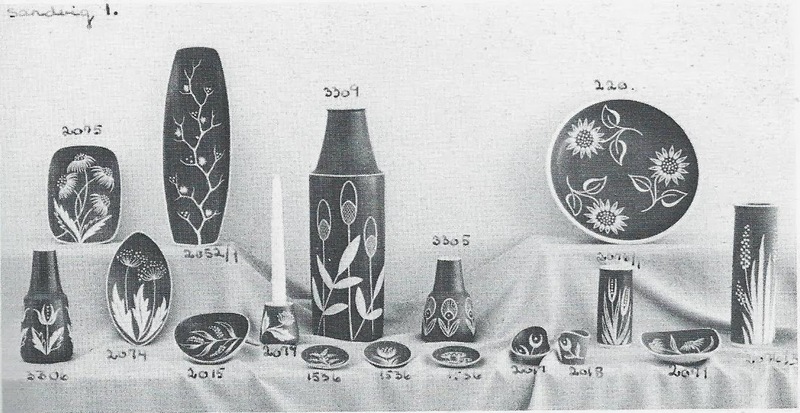 The first stoneware pieces from Soholm were unika pieces by sculptor and potter Arne Ranslet. 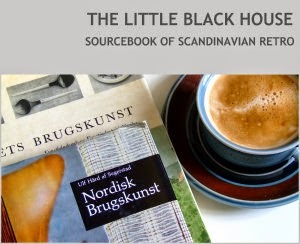 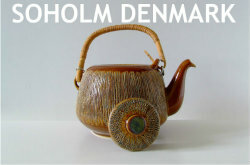 He was the daily leader of Soholm from 1956-1962 and very interested in stoneware. 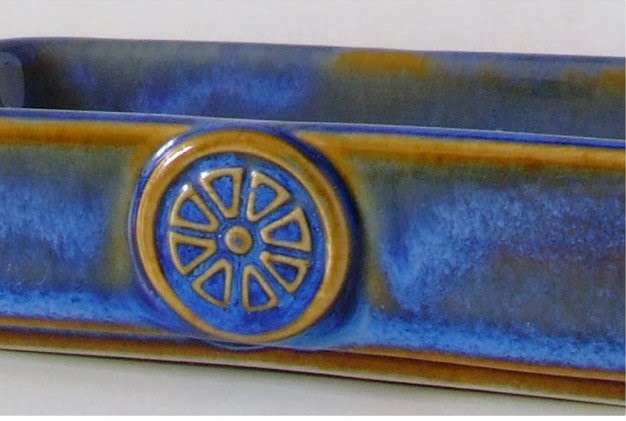 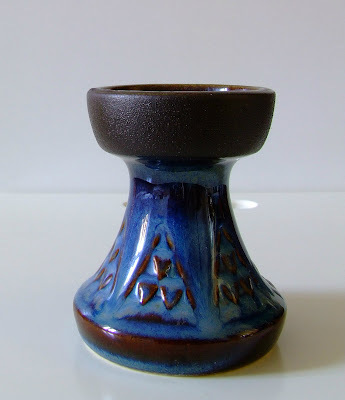 The triangular pattern is made in relief and covered with a blue glaze developed by Svend Aage Jensen. 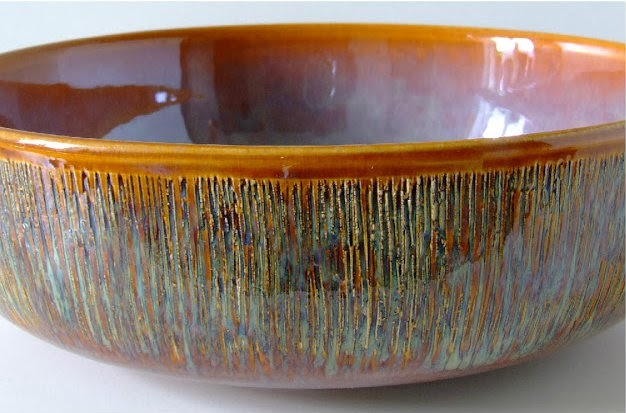 Like with so many other glazes by Svend Aage Jensen there is a play between colours letting a bit of brown shine through. 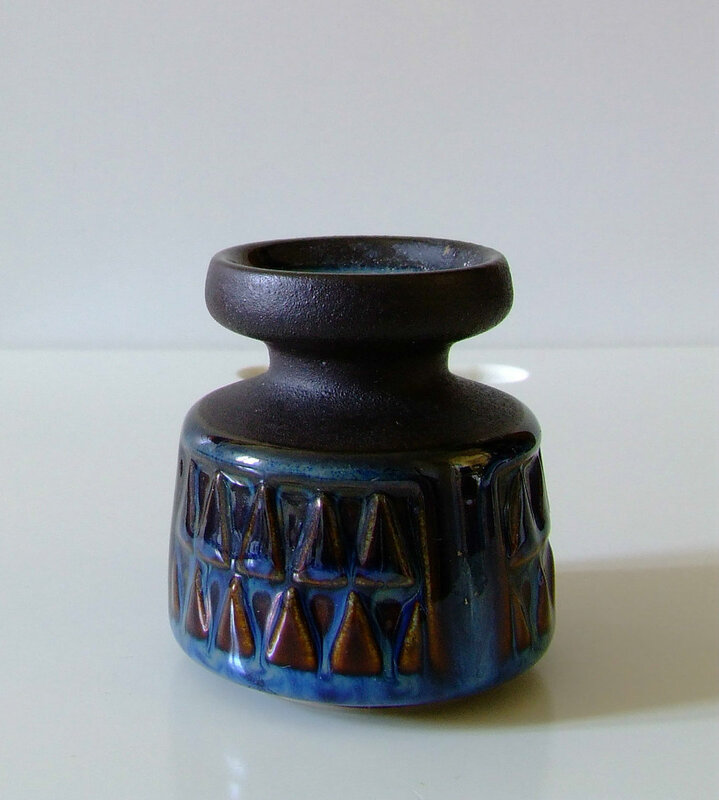 EJ 64 was a home decor series with vases, candle holders and trays i various sizes. 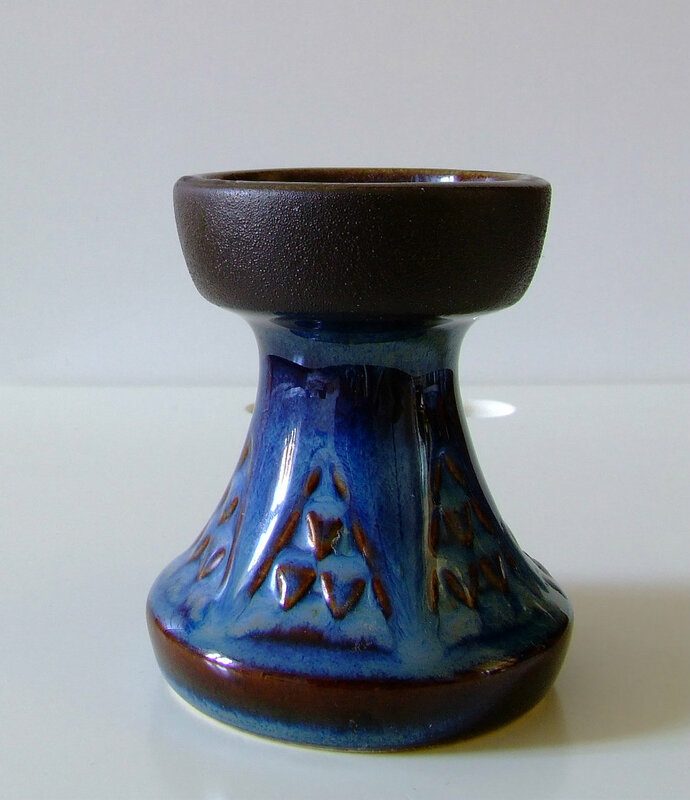 It was the greatest succes ever for Soholm.